This is a very nice response to one of my favorite films. Can you say a bit more about the concept of ‘filmind’? I think you’re spot on in seeing the way the camera wanders away from Alexander in that scene as its looking for something more interesting or important than the image of him reciting his monologue. 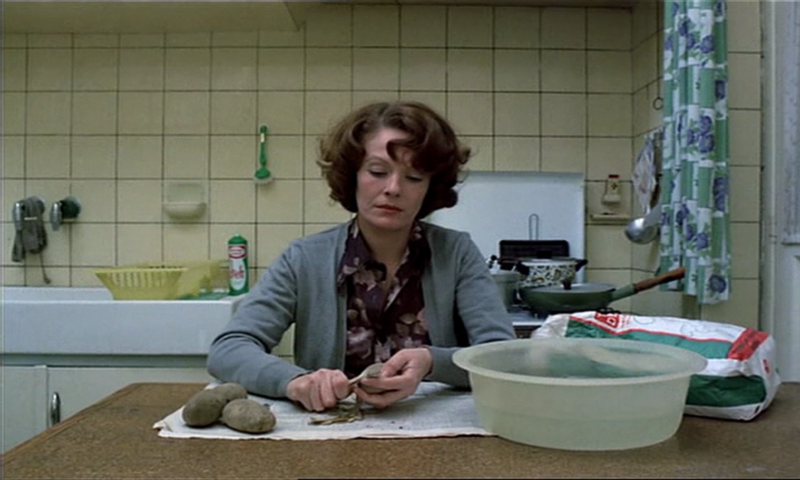 * However, I’m unclear what distinguishes the film looking for something more interesting from Tarkovsky so looking. What does the distinction gain for me as a viewer? What does it let me see that thinking in terms of what Tarkovsky is doing disguises? Hey, thanks a lot for your extensive comment! First of all, I should perhaps say that I didn’t quite mean that there was something more interesting (for the viewer) than Alexander’s monologue. Personally, find the monologue exceptionally profound. It is more like “What else is there to see apart from Alexander?” His voice stays with us, but do we have to stay with him? This explanation is probably more to the point. As for the filmind: The concept is radical in that it sees film as an independent being. If we speak about film, we always speak about what the director does, or the cinematographer, etc The filmind annihilates this, and, provocatively, suggests that it is the film itself that is making decisions about the film world. This also resonates with a bit with my interest in Slow Cinema in that it is about feeling and experience, not necessarily about some set-ups that provoke preferred readings. Thanks for the link to your blog post. I have, in fact, read it a while ago on your Treefingers blog. I liked it a lot. Very interesting reading of Tarr’s films! Right track? I feel I may be reading my own concerns back into it a bit too much. I think you’re on the right track. This was my reading of the Filmind. There is, however, probably more than one way of reading it.